"Spectacular country home on 48 acres with Wallowa River frontage! 5463 sq.ft built in 1991 with 4 bedrooms and 3.5 baths. Great room with cathedral ceilings and large rock fireplace. Master bedroom with rock fireplace and patio doors. Master bath with Birthday Tub, walk-in shower and two sinks. Two offices. Tree-car garage, 2464 sq.ft multi-use building, horse shed, chicken & green house. Irrigation water rights." 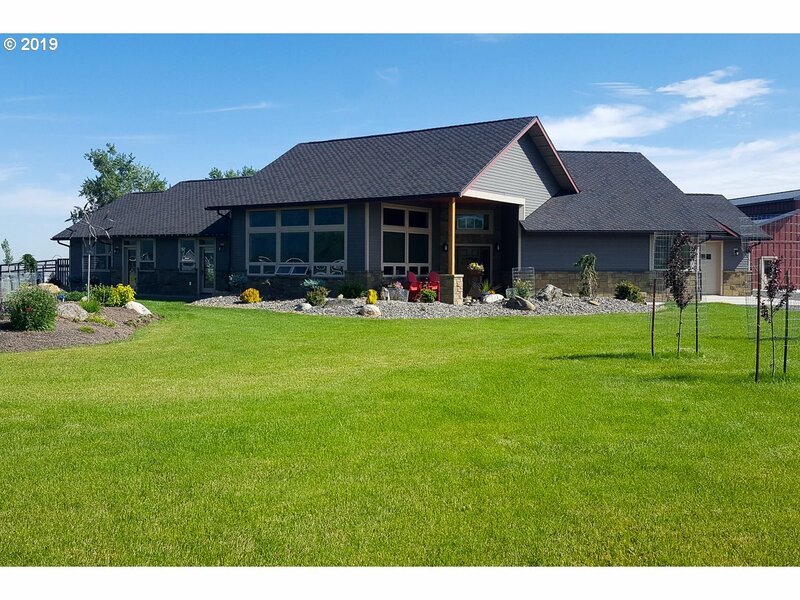 "Custom home built in 2006 on 177 irrigated tillable acres. 4 bedroom 2 1/2 bath. 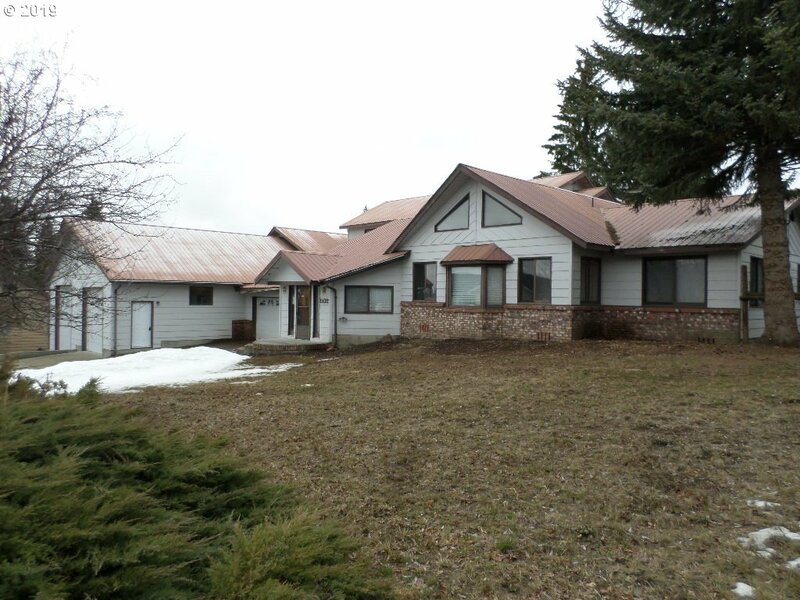 Vaulted ceilings , large loft all with panoramic Wallowa Mountain views. Very productive land with great water rights. Four wheel lines. Irrigation creek and Farmers Ditch flows through the property. Great hay and or cattle operation"
"Exceptional 3,048 sq.ft. home on 2.24 acres! 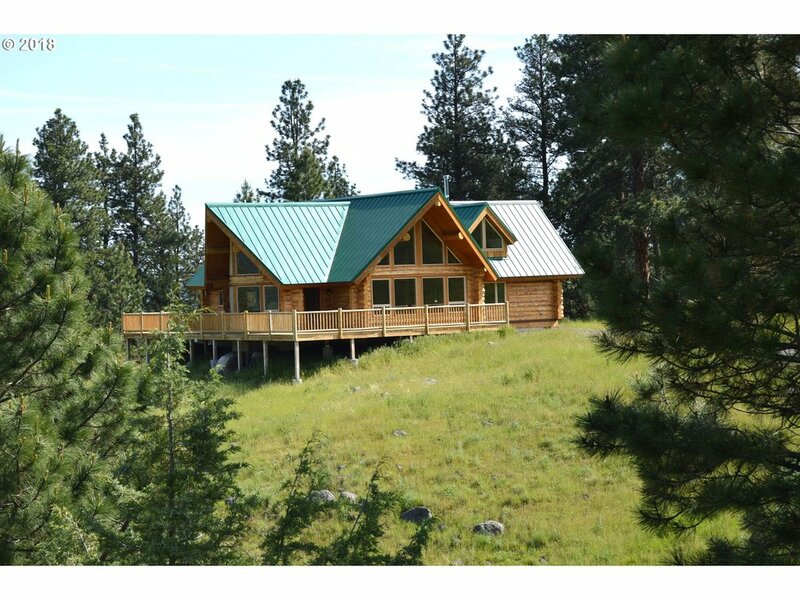 Situated outside Joseph, this 4 bedroom, 3 bath home has stunning Wallowa Mountain views and high end finishes. The home has tile in-floor radiant heat, quartz counters, vaulted ceilings and a master bedroom with en-suite bathroom and walk-in closets. Beautiful landscaping with sprinklers, fenced back yard and a pasture. 1500 sq.ft. 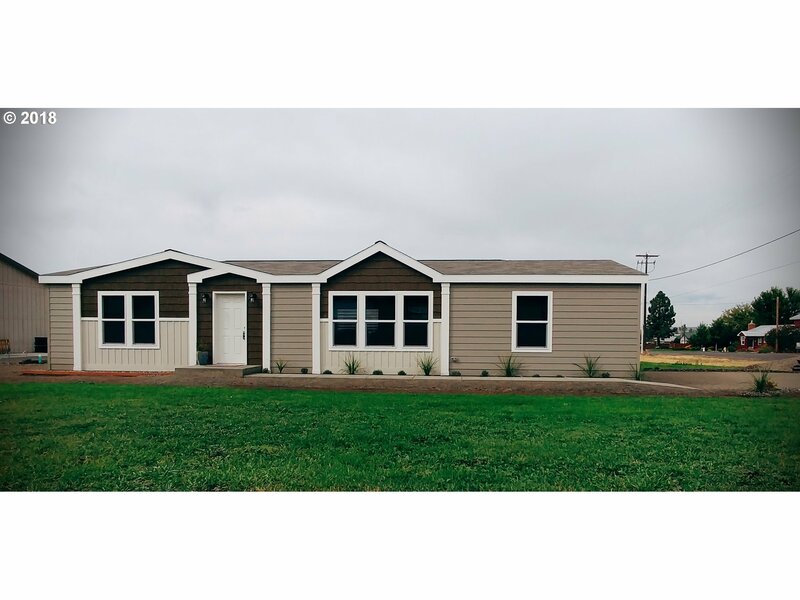 insulated garage with a finished workshop and RV parking." "Suffused with light, the serenity of the natural world permeates this unique yet practical home. Expansive views of the Wallowa Mountains & the glacial moraine. Striking, one level home has gleaming Brazilian cherry floors, custom cabinets, tumbled Italian travertine floor, granite counters & fireplaces. High-end appliances, radiant-in-floor heat, Pella windows. 4 car shop/garage. A true sportsman's dream! 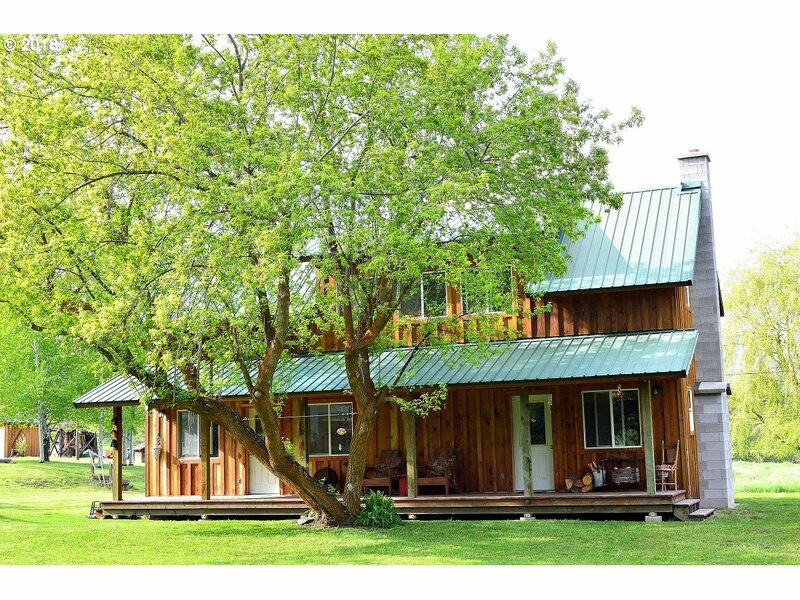 Horse Property w/ Water Rights"
"Beautiful log home on 5 acres with spectacular mountain and valley views. Constructed in 2016, this 3 bedroom, 2 bath home has many special features including hickory floors and cabinets. Ceramic tile was used in the master bathroom shower and floor. Plenty of storage space is available in the attic and large crawl space. The property reaches the top of the west moraine for incredible views of Wallowa Lake. Lake not visible from house." "With wildlife galore and incredible views, this 3 bedroom 2 bath home can be yours! Quality craftsmanship is evident in the remodel and newer construction of the home. Special touches abound. Situated on 71.45 acres of land, the property includes irrigated pasture, forest and range land. Water, water and more water! An irrigation creek meanders through the property, including a pond and the property is bounded by Little Sheep Creek." "Log home custom built by Bronson's. Master suite with awesome Mountain Views. Propane, Electric and Wood Heat! 5 Acres with irrigation and irrigation equipment. Property is crossed fenced. DBL car garage with attached 36 x 24 shop. RV equipment shed 30 x 24. 48 x 36 Horse barn with 4 stalls, tack room, and attached bunkhouse with separate bedroom & bathroom. A must see with magnificent views." "Paradise at Wallowa Lake! This 2bd/2ba is sitting on a beautiful .57 acre lot at the north end of the lake. Spectacular mountain and lake views from picture windows and lawn. Wood stove will keep you cozy in the winter. Enjoy the large jacuzzi tub after a day on the lake. Large attached garage and concrete bunker detached garage. Underground sprinkler system. Don't forget the LT/vacation rental possibilities are endless!" "Builder is doing this 3/2 home right, paying attention to details! Lovely open plan w/ gorgeous mountain views from kitchen/dining/living/master. 3 ft wide knotty alder int doors; custom knotty alder cabinets; windows w/ tinted glass; heated tile floors entry/kitchen/baths; woodstove in living; covered front & rear decks; walk-in tile shower; huge heated rv garage; ext soffit outlets; set for back-up generator. SO MUCH MORE! Call Agent!" "Location would be hard to beat, this 3 bed 2 bath home just outside of Joseph sits on 5 acres with a massive shop and outbuildings unobstructed views of the Wallowa Mountains and Seven Devils.Perfect set up for horses and or any 4-H FFA type projects, tack room and bunk house it's all here with this property, one bay of the shop is a meat cutting/processing room with a attached cooler a must see property list price $439,900." "Exceptional custom built on a dead end road. New hardwood floors and new exterior paint. Dining room sky lights too. There is a long list of upgrades and improvements to this property. Great home to entertain at or enjoy peaceful living." 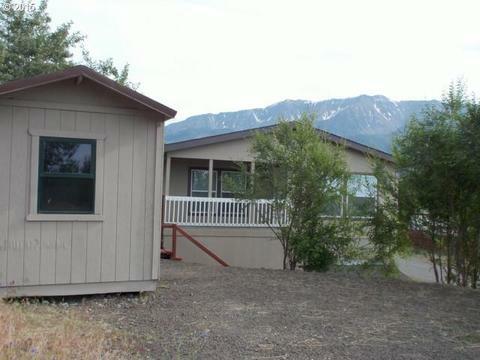 "Beautiful home on double lot with fantastic views of the Wallowa Mountains. 3 bedroom, 2 bath home nicely designed, efficient kitchen with granite counter tops. Large wrap around deck to enjoy the great views. 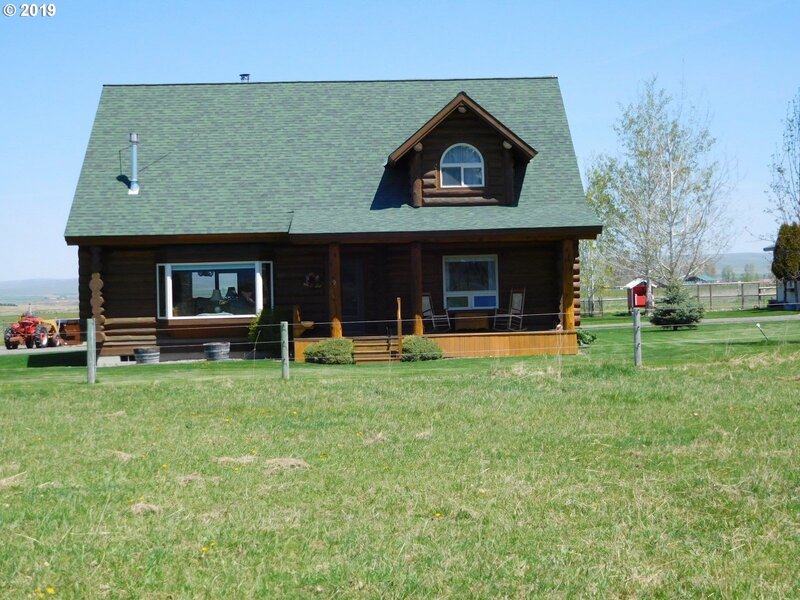 Separate small 1 bedroom home"
"Comfortable custom log home tucked in the woods. This 3 bedroom, 2 bath home has been updated and is filled with charm. It features an open living, dining and kitchen area, log and drywall interior finishes, master bed/bath on the upper level, a covered porch and hand-peeled logs. A creek runs through the property and it contains many trees. The property is accessed by a maintained county road connecting to the driveway." "High Quality and spacious home. Lot's of room for living and entertaining. Bonus Rooms and a safe room in the basement. Plenty of bathrooms and storage space. Open view of the mountains from the living room. Potential for B&B. Landscaped and move in ready." 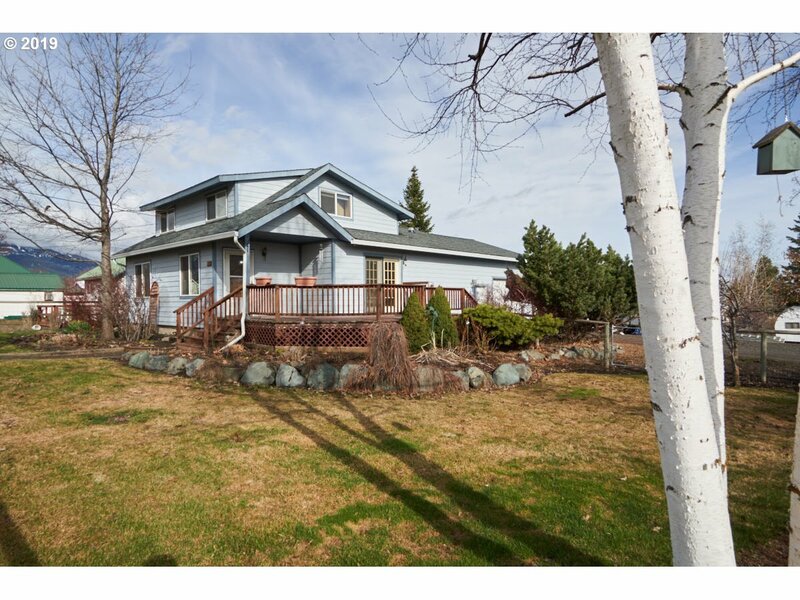 "Beautiful, well-maintained triple wide on large lot in Joseph. Be in the midst of activity or enjoy privacy! This large 4 bedroom 2.5 bath home shows attention to detail and care. New flooring, new paint, 2-car garage fully finished and a newer insulated shop. Underground irrigation, irrigation drip line and an RV hook up with pad. New privacy fencing. Dual furnaces and air conditioning. Exterior paint in 2014." 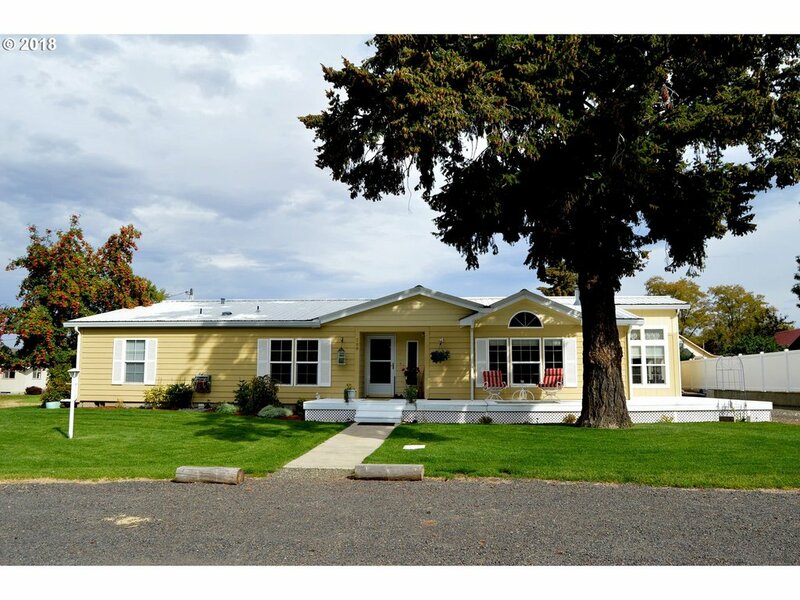 "Well-kept home on a nice corner lot in Joseph. Great landscaping and the home was remodeled and added onto in 2002. Kitchen and eating area floors are tongue and groove pine and the remainder of house has carpet, with new carpet being installed in the master bedroom. Second floor has one bedroom, a full bath and open area for an office or hobby room. The range, refrigerator, microwave and washer and dryer are included." "Brand new 3/2 home in Joseph w/ great floor plan! Granite island, solid wood cabinet doors, pantry barn door, living-room built-ins, accent walls, walk-in tile shower w/ rainhead, free standing oval tub, blinds, walk-in closets, pass-thru laundry chute, craft/study area, propane range & furnace, A/C ready conduit, ENERGY STAR rated. GREAT location, views of Mt. Joseph, close to shops and restaurants. 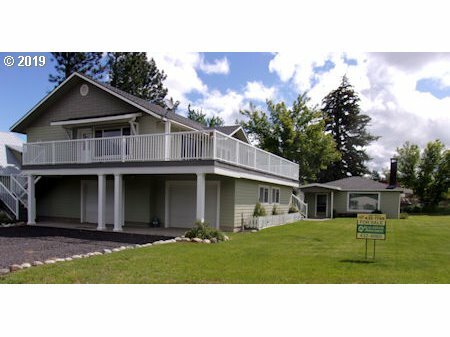 Owner is Oregon licensed broker." "High Quality house on a corner lot. Privacy fenced back yard retreat area with water feature. Garage is finished and heated. Interior has been upgraded and features a propane fireplace. House has A/C. There is an additional carport and a large metal storage building too. Landscaped." "POTENTIAL GALORE: Use as a 5 br 3 bath family home, assisted living, 2 rental units, private mother in law unit, or??? Built in 2004 & well maintained. Mountain views, great location, solid construction, extra lots included. (lot 3400-Id 2800 117 x 270) Close to schools and shopping. Excellent income property." "Great location! 4 bed, 1 1/2 bath ranch house on corner lot (50x117) in Joseph. Detached 384 sf garage/shop on concrete slab." 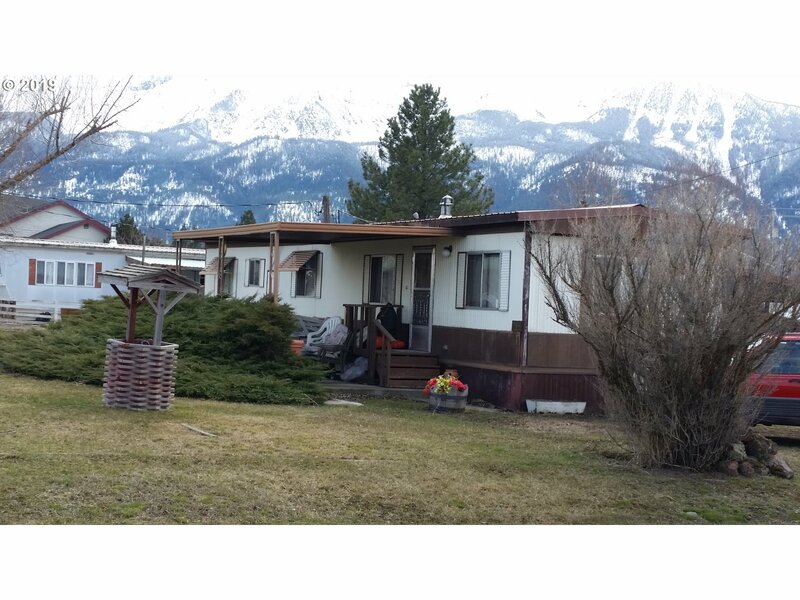 "2 bedroom 1 bath single wide manufactured home on double lot. Prime location and high visibility for your home or commercial venture as you first enter Joseph on Highway 82 at Russell Lane. Walk to the bank or downtown shopping." "Stick built 2bd/1ba in great neighborhood. 60 x 117 corner lot on quiet streets with plenty of room for an addition or garage/shop. Established long term rental income. 24-hour notice required for showing."